Graduating as a Chartered Physiotherapist from Coventry University in 2008, I initially worked in the NHS before commencing a senior physiotherapist job with Nuffield Health. During this time I have gained a broad experience of the rehabilitation of musculoskeletal conditions with a keen interest in sporting injuries and Pilates In summer 2014, I was a “Clydesider” working within the physiotherapy team supporting the Commonwealth Games. In my spare time I am a RAF Reserve Physiotherapist working within military rehabilitation and doing some rather “interesting and challenging” activities at the weekends! 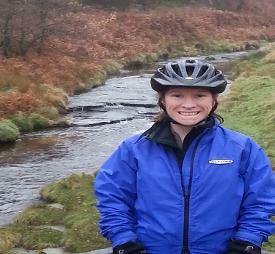 I enjoy the outdoor life including cycling, walking and playing netball which is even better when cake is involved. I believe that exercise should be fun with a sense of achievement and therefore my classes focus on promoting balance, muscular strength, flexibility and improved posture in an enjoyable and relaxed session. My classes offer a variety of different levels making it suitable for beginners and those with more experience. I use a variety of equipment to provide resistance and assistance in challenging and enhancing function.